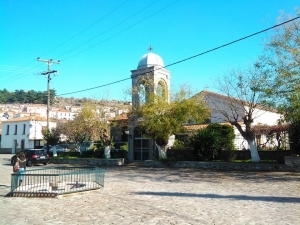 Excavations have revealed that Lesvos had already been inhabited since the late Neolithic period. First inhabitants had been the Pelasgians in 3.300 BC, who firstly named it “Pelasgia”. 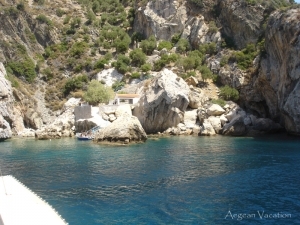 Through the passage of the years, different names had been given to this island, some of which are Lassia, Aithiopi, Makaria, Aiolis, only to end up with the current name of Lesvos, son of a Thessalian hero named Lapithos. Lesvos ‘s history is long and agitated and bonded in a great extend with its position across the Asia Minor ‘s shore. 10th-8th century BC: The coming of Achaeans and Aeolians and the establishment of “Lesbian Exapolis”. Mytilene, Antissa, Pyrra, Arisvi, Mithymna and Eresos are the most important city-states, and their founders are traditionally considered as the descendants of Atreides. 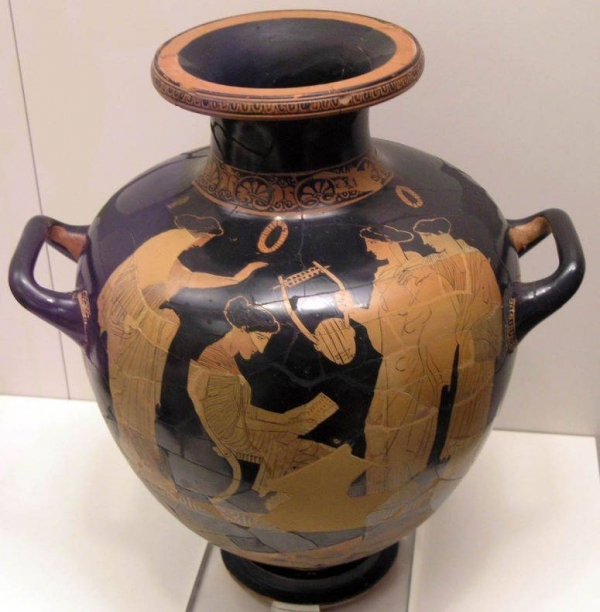 7th-6th century BC: During the Archaic period, simultaneously with the trade and settlement on the island, there is a prominent cultural development, that results in the island to gradually evolving into an important culturl center of Eastern Aegean. 428 BC: After the battle of Mycale and the defeat of Persians, the island becomes a member of the Delian League and the Peloponnesian war, defected from the Alliance resulting in the slaughter of the male population of the city and the enslavement of civilians. 88 BC: Lesvos is occupied by the Romans, therefore the Roman Aqueduct had been built in the area of Moria. Through it, water was transported at a distance of about 30 km, in the city of Mytilene. 52 AD: About that time, the island accepts Christianity through the preaching of St. Paul. Byzantine period: Incursions are taking place by the Saracens on one hand and by Venetians and Franco on the other. 1355-1462: The island is given to the Gatelouzos by the Byzantium. Then, the city’s castle was built and is maintained until nowadays. 1462: This is the year when Mohamed the Conqueror took control of the island. Under the Ottoman yoke, the positive course of economical as well as intellectual life were halted, resulting in a significant recession. 1774: Because of Kucuk-Kaynarca treaty, trade and industry begin to develop once again, while great cultural bloom is being noticed. The oil trading was organized, oil mills, distilleries and tanneries were built, enriching the local dealers. 1912: Lesvos was released under the commands of Admiral Kountouriotis and in 1923 with the treaty of Lausanne, was officially added to Greece. 1922-1923: Because of the population exchange and the placement of a significant refugee number on the island due to Asia Minor’s Destruction, Lesvos passed through a time of changes. The coming of the refugee, played a major part in cultural renaissance and development of the island. World War II: After Greece’s involvement in WWII in 1939, Lesvos passed into German hands from 1941 to 1944, only to be finally free in September of the year 1944. 1950-1960: This is the decade with the largest amount of immigrants moving to USA, Australia, Africa and Europe because of the financial troubles that Greece had faced. For the next twenty years, people will move into the big cities, a phenomenon that stops in the late 1980s, when trade is developed and living standards are improved. Nowadays, there is a continued growth of touristic development, fact that leads to economic recovery.